I have two books in the production pipeline, and I've been working on my strategy for getting pre-publication book reviews. While googling, I lucked out and found a great site, publishedtodeath.blogspot.com, that has lists of lists of book reviewers, including many book bloggers who will not only review self-published and small press titles but also cross-post their reviews on Amazon and/or Goodreads. Drozdowich is herself a book blogger, and has been since 2010. Her book review blog, Sugarbeat's Books covers her favorite genre: romance. It is from this insider perspective that she offers advice to authors on how to work with book bloggers, but she shares wisdom beyond her own. A few years ago (I may have overlooked it, but I don't think she mentions the year) she issued a comprehensive survey of book bloggers that asked open questions, such as, "Why do you blog?" She got 215 bloggers to respond and the information she learned from the survey results led to the Author's Guide. 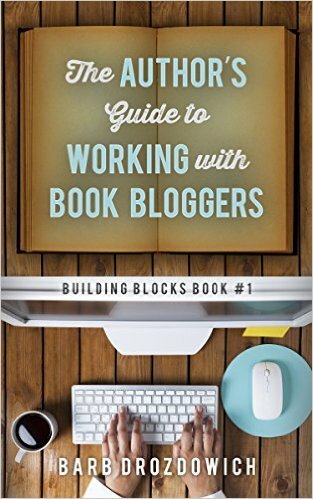 What do book bloggers want? In general, book bloggers love books and love reading and they want to share their reading experiences. Almost all do this as a hobby and make little to no money from their efforts. What money they do make comes from advertising, and sometimes affilate relationships with book vendors (which means if you follow a link from their blog to, say, Kobo and buy a book, the blogger may earn a small commission). What's the biggest mistake authors make in approaching book bloggers? They blast form-letter review requests to bloggers without reading their review guidelines or even looking at the blogs. Before you contact a blogger, Drozdowich advises, get to know about them. Don't waste their time with review requests for books in genres they don't read. The book discusses much more than these two things. It covers other helpful things book bloggers can do for you besides review your book, which I won't go into here so that you have a reason to buy the book. I think any self-published author or small press, who realistically need to look at review options besides the coveted but hard to get trade reviews, should consider reading this book as part of planning their strategy for garnering book reviews.